Happy New Year, and welcome back to The Bachelor roundtables. Leading up to this season, we were a bit unenthusiastic about it returning. After Nick’s season, we’re a bit tired of runner-ups from years past coming back for their fifteen minutes of fame. 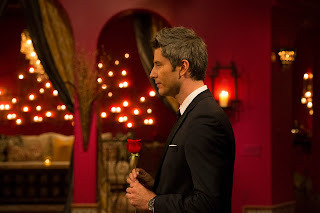 Arie might not be the Bachelor we wanted but we will persist with our hearts open and wine glasses full. This season, the show is going back in time with Arie as the lead. Did you watch him on Emily’s season and what is your overall impression of him as the Bachelor? Who were your top two contenders for Bachelor this year? Rebecca: I did watch Emily’s season, and the only things I remember about Arie were that he had pretty eyes and drove a race car. Other than that, he was pretty forgettable. All of the highlights they showed of his season in the beginning of this episode didn’t even spark my memory. As far as my impression of him as the Bachelor, I feel weird that an almost 40-year-old dude will be lusting after a group of women mostly in their early to mid-twenties. 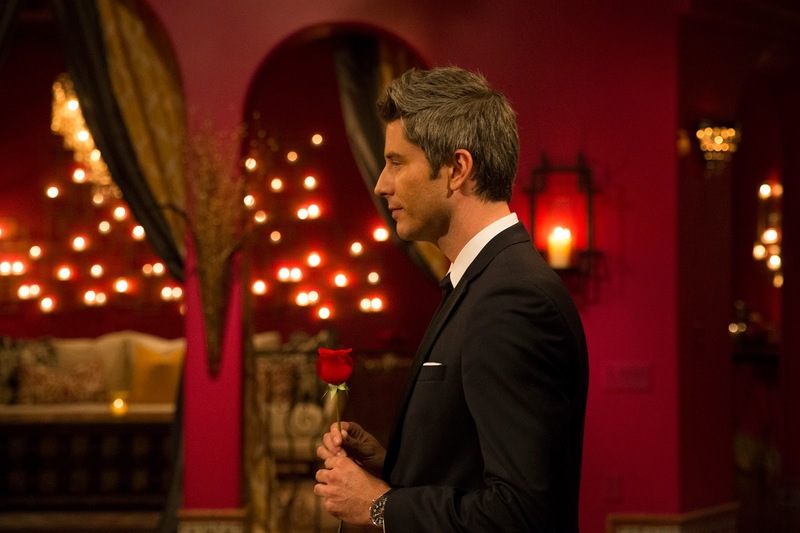 I also think Arie is a little boring and doesn’t bring anything to the table that we haven’t seen before from a middle-aged, white Bachelorette reject. Like the rest of America, I would have loved to have seen Eric or Peter as the Bachelor. Alisa: I watched Emily’s season and it was one of the most memorable ones, in my opinion. And yet, I did not remember anything about Arie (the runner-up!) until they announced him as the new Bachelor. Then I was like: “Oh yeah, that guy.” He’s not at all intriguing. Considering the many, many amazing men that Rachel had in her season, it’s super irritating that they went back FIVE YEARS to pull this basic bachelor out of storage. Additionally, it’s waaaaaaay past time that The Bachelor have a showrunner who isn’t white. Again, Rachel’s season had SO MANY great men to choose from like Blake K., Diggy, and Will — all of whom were my personal favorites. Chelsea: I had not watched Emily’s season originally but I tried to go back and rewatch it when ABC put up all the old seasons. I barely made it halfway through the season before giving up. I don’t have much of an opinion about Arie other than the fact that his age is concerning. Most of the girls this season are 22-27 years old and he’s almost 40. I just don’t find him entertaining or genuine in any way. Of course somebody like Peter, Will, or Kenny would have been a much better pick. From getting down on one knee to drag cars, who had the best entrance? Who needed to get back in the limo? Rebecca: The armpit girl should have stayed in the limo. I can appreciate a good pun, but who wants to smell a stranger’s armpit within five seconds of meeting them? I loved Maquel and Bekah M.’s entrances because they took into account something that Arie is passionate about. Alisa: As usual, the entrances ranged from super cheesy to bizarre and I feel bad for all these girls trying to one up each other with one awkward entrance after another. And the racing puns! I thought it would never end! Like Rebecca said, I thought the ladies who showed up in the cars were the most memorable. Wiener girl’s wiener joke flew right over Arie’s head, which I found pretty amusing. And yeah, armpit girl was either super brave or super crazy for her stunt. I haven’t decided which. Chelsea: Most of the entrances were more awkward than memorable. I think Maquel, Bekah, and Becca stood out from the pack in good ways. Tia (Raven’s clone) made me laugh with that wiener joke, so she needs to stay and do Raven’s hilarious commentary every episode. Annalise was pretty funny and what could have been a gimmick quickly won me over. Chelsea (who I will be referring to as Not Me) needs to go. She was way too awkward and forceful on her limo exit and I am already not down for her. It’s early but who are your top four girls? Who are you ready to send home? Can you tell any of the Laurens apart? Rebecca: It’s still early enough that a lot of girls haven’t gotten on my nerves yet, but so far I’m really enjoying Annaliese (she’s adorable and great), Maquel (entertaining, and I feel like she’s going to be the one I love to hate), Tia (if Raven likes her, I like her), and Bekah M. (unfortunately, since she’s a LITERAL child — so much so that The Bachelor doesn’t even want to publicize her age. But she’s super cute and her entrance was fun and I loved her question to Arie about what makes him excited to be alive, although his answers SUCKED). I’m already over Chelsea — she’s super annoying. She’s not even going to be a good villain. And nope, the Laurens are just one white, blonde collective mass. Alisa: Yeah, so 13 of the 29 girls were blondes who — as far as I could tell — were the exact same person just doing a wardrobe change every few minutes. The only girls who are memorable for me so far aren’t ones I like. Bekah is clearly out past her curfew, Chelsea is such a boring, obvious villain, and Tia’s only there because she’s Raven’s friend. Those are the only ladies I remember so far, which doesn’t surprise me because I figure Arie needs to end up with a lady as un-memorable as he is. Chelsea: I said this on Twitter but Bekah is clearly there to make friends, so I’m here for Bekah. I can see her and Tia being our lovely Greek chorus this season. Those two, Annaliese, and Becca are my frontrunners so far. Becca seems like an adult with health insurance. Krystal is probably too nice for this show, so somebody save her. Also, I couldn’t pick a single Lauren out of a lineup if I was given a cheat sheet. Who are you cheering for this season? How many racing puns can the show get away with? Leave your comments below.